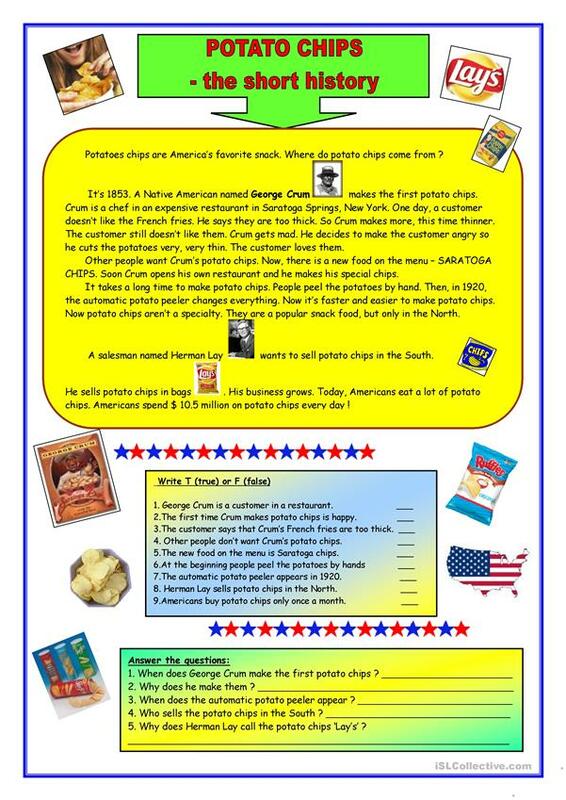 The short history about our favourite snack - potato chips in Present Simple. 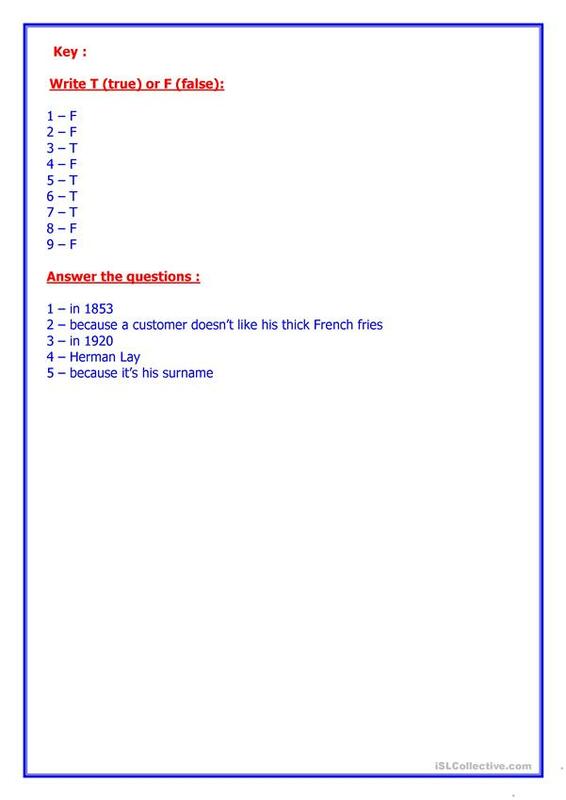 After reading, the students have to write true or false and answer some questions (the key included).This is the SECOND part I have made about the short history and I hope it´s interesting. The next will be about the SEWING MACHINE. This downloadable worksheet is best suited for elementary school students at Elementary (A1) level. It is excellent for strengthening your class' Reading skills. It includes a key, too. I'm an English teacher from Poland and I love my job. I'm a member of ESLprintables and you can find more of my worksheets there.